Eaton has added another Authorized Rebuilder with the signing of Truck Gears Inc. of Los Alamitos, California. The 39-year-old company becomes the sixth Eaton Authorized Rebuilder in North America. 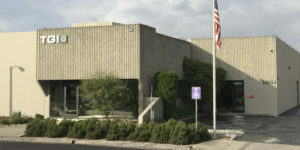 Truck Gears Inc. currently employs 35 people and recently opened a second Southern California location in South Gate. The Eaton Authorized Rebuilder Program, introduced in 2013, gives fleets and owner operators an opportunity to purchase locally rebuilt transmissions from authorized outlets that meet all of Eaton’s re-use and rebuild requirements. The authorization provides end-user customers with a higher level of confidence and after-the-sale support than other rebuilders can provide. With the addition of Truck Gears, Eaton now has six Authorized Rebuilders in North America to service its products. Other Eaton Authorized Rebuilders are Power Train, Indianapolis; TransAxle in Cinnaminson, New Jersey; Drivetrain Services in Bensonville, Illinois; Pacific Truck in Edmonton, Alberta, and Chalk’s Truck Parts in Houston. Eaton will continue to strategically review its coverage and add additional outlets in underserved strategic markets. To be recognized as an Authorized Rebuilder, companies are required to complete an in depth review of their rebuilding processes, increase their technical and sales training and achieve an annual certification for the program. Eaton provides program participants with access to an integrated warranty process and marketing support to deliver an extension to customers in the markets in which they do business. Eaton Commercial Vehicle components are backed by Eaton’s Roadranger network of more than 180 drivetrain professionals who provide solutions, support and expertise to fleets and dealers. For more information visit eaton.com/roadranger.